I don't know all the details, and there's a lot of back and forth, but her blog just got shut down by Google. Apparently some guy called her out on copying a post and pasting on her blog. For the record, most entertainment blogs and websites basically do the exact same thing - and a lot of them do it without giving credit. Anyways, I don't know which post that was, or if it was taken down. Whatever it was, Linda said this person threatened that her blog was going down for plagiarism and copyright infringement. Okay, the same person has lots of websites (more on that later) including a blog, 9jalife, and this is where the plagiarism accusation is coming from (I think). He also is part of or owns a group that allegedly has hundreds of websites, including most, if not all Lindaikeji domains. As in, lindaikeji.com, lindaikeji.net, .co, .everywhere, .blah and so on. This is called cybersquatting. And he's been trying to sell Linda those domains for thousands of dollars. Whatever it is, sha, Lindaikeji,blogspot.com has been shut down (posts are still up on Lindaikeji.mobi though). Now, I'm not taking sides because this involves PLAGIARISM vs. CYBERSQUATTING. I think that both are wrong. However, I think that if you blog or write, there are some lessons to take away from this drama. DON'T copy and paste!!! If you're going to repost something you've seen online, you can ask for permission from the writer. ALWAYS make sure you LINK BACK to the source, CLEARLY stating where you got the information from. DON'T paste the whole thing! Post an excerpt, with a link back to where the reader can view the whole story. In fact, it's better to REWRITE what it is that you want to copy. Pick out the key themes and rewrite in your own words. If you're a writer, blogger, artist, business, socialite, whatever, just buy your domain. Yes, I own www.berrydakara.com but just haven't been interested enough to use it yet (Bad Berry, Baaaad Berry). That way, if stuff hits the fan, ain't no Google or whoever around to shut me down. BTW Linda, it looks like lindaikejigossip.com is free. BACK UP your posts. I would like to think that Linda backed up all her posts, but if not, she's more than popular enough to have tens of millions of views once she bounces back. Again, I'm not choosing sides. I feel kinda bad for Linda because this is her livelihood and it seems like a targeted attack. At the same time, a lot of people have been hurt by Linda's posts due to copying, defamation and spreading nasty gossip (so there are many people celebrating this take down). On the other hand, from what I've read, this guy has been looking for a way to bring Linda down and it almost seems like a personal vendetta. If it was the copyright matter alone, I might have just glossed over it. But why on earth does he have the rights to any Lindaikeji domain name? So this is clearly more than just copyright infringement and plagiarism. I don't know how this will end. I'm sure Ms Ikeji is lining up another website as I type and I daresay it will be as popular, if not more than her Blogger page. Unfortunately, I think that might leave her more vulnerable to hackers. UPDATE!!! Someone has bought lindaikejigossip.com, less than 12 hours after I put up this post! Wow!!! The thing is that when I visit some of these very popular entertainment sites in Naija, they almost always post the same exact thing word for word. I am left wondering who is copying from whom. No be small matter o. AS IN!!!!!!!!! Word for word for word! I once met a girl who told me she blogged and I happily went to her page, only to see the same entertainment gossip stories there. My excitement wilted immediately. At least tell me something different, or give your own opinion on whatever the gossip is. "DON'T copy and paste!!! If you're going to repost something you've seen online, you can ask for permission from the writer." My genuine question here; For example, Kelly Rowland released her pregnancy photos to ELLE magazine and LIB posted it. Are we saying the right thing for LIB to have done was to email ELLE magazine? Back in school when writing papers, they never asked for "written consent" of the people we quoted so my honest question here: Is this written consent rule just an internet writing rule? Or did people just assume it? Where do people draw the line in "recycling" news and crediting? Like you I am not taking sides here but I need to have these answers so I can go and wash my nyash incase me too I have been doing it wrong. What I know is that you credit and source properly, but this written consent asking for permission for something that has already been released online, to be honest it is new to me. So can someone please clarify? "ALWAYS make sure you LINK BACK to the source, CLEARLY stating where you got the information from. DON'T paste the whole thing! Post an excerpt, with a link back to where the reader can view the whole story." That's what you did with your papers in school, right? Do the same thing online, innit? Exactly my point...so where did this "written consent" come from? At first I thought people were saying Linda did not credit, then she did not credit "properly", then she did not get a written consent. It all just sounds like people making up their own rules and people need the concrete reason...there has to be some blogging act we can go to and read up on right? Lol! "Short quotations will usually be fair use, not copyright infringement. The Copyright Act says that "fair use...for purposes such as criticism, comment, news reporting, teaching (including multiple copies for classroom use), scholarship, or research, is not an infringement of copyright." So if you are commenting on or criticizing an item someone else has posted, you have a fair use right to quote. The law favors "transformative" uses — commentary, either praise or criticism, is better than straight copying"
I say ask for permission because that's what I would do. However, that's my personal and moral opinion. IF you don't want to ask for permission, then don't copy the whole darn thing. For whatever reason, I can't even remember the format Linda used. I know I've seen her write "On MediaTakeout/TMZ/WhateverSite today, they wrote blah blah blah." I don't remember ever seeing a link though. Typically, I wouldn't bat an eyelid if someone said, "On Berry Dakara's blog, she wrote..." but it's only COMMON COURTESY to link back. Finally, I see something concrete! Reading this, I guess LIB error was copying and pasting full articles according to you. Personally I never read any article on her blog that led me to investigate to find out they were fully copied and pasted....but assuming you did, then I guess that was where she faulted. The few articles I also read, if i remember correctly, she stated her sources too...but then again, I can't be 100% certain for all of them. So just to be clear again...lol...this "written consent" gist, who made it up? Na that one concern me pass because I use stuff on the internet too and site properly. I don't copy and paste but I sure dont email people asking for permission either. This thing is serious o. I vaguely remember another popular blogger being threatened because she used a picture she found online. A picture o, that you can find on Google Images!!! Always always give credit to the source. I dunno where "written consent" came from, as per blogging. But it doesn't hurt to ask. I'm really not concerned about the copy paste but what i don't understand is why she doesn't have a domain.. It doesn't make any sense she makes so much money but never thought of it? I'm sure she thought about it, but the domain names she wanted were bought by someone else who wanted to sell them back at a high price, if I'm correct. it's not just about the domain name. u can buy ur domain for $10 and still use blogspot to host. when google comes for u. the website will be gone but u will still have your name. She needs to get a host, blogspot is a free host. 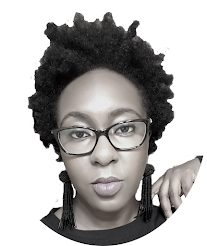 if she finds a host like the ones mediatakeout, necolebitchie etc use maybe wordpress software (not the free blog version) i think bellanaija uses that too, not sure. she really should look deeply into different sites and what heir rules are, to know which ones might give her same drama or not. @Olufunmi, Years ago Linda mentioned that some guy had registered all her domains and was refusing to release it unless she paid ridiculous amounts of money. I believe it is this same guy instigating all this. So it is not for a lack of her not wanting to own her own domain. @Berry, this plagiarism thingy is not so clear cut. I am sure you use images sometimes in your posts, and you may have gotten some of those images online. Also Sugarbelly and Omojuwa were accusing linda sometime ago of lifting her content when she clearly mentioned their twitter pages as sources. And finally, in my opinion linking back is not a requirement or a rule. If you mention the source, it is sufficient. After all when you quote books in school, you do not necessarily write the address of the library you got it from. Anyways, I think many blog owners to some degree commit some of these blunders she is being accused of. The difference is that she is popular and therefore is being made to pay the price. Good thing is that she has a background as a "hustler" therefore I trust her to bounce back and hopefully learn from this setback. The naija blogosphere will be better for it, and many other aspiring writers and bloggers will also learn invaluable lessons from this. Anyways, you're right. I post pictures from Google Images, although I caption it with the link to the source. It's actually because of copyright stuff that I sometimes draw silly cartoons for my posts. The Linda vs Sugabelly saga, I only just found out about. Linking back may not be required, but citing is. If you can mention the source though, why not also insert the link? It takes 5 seconds. Lol, Berry love... i didn't o. Been a silent reader for a while now. Life's pressures and all. You are right in that we have a short term memory, always looking for the next "high" and many other bloggers will be itching to fill the void if she doesnt bounce back on time. Thankfully you own your own blog, so a good base established, cos the idea of Google yanking off one's blog isn't funny at all. How are you though? And married life? God bless you both. Mehn, I don't know what I would do if Google removed my blog! Quaggar, when you quote books in school, you don't necessarily write down the library you got it from, but you do so much more. You have a reference/works cited page that has the name of the author, title of the book/article, publisher, date it was published, pages you used, format (web or print), and date you accessed it if it is a web format. Just merely mentioning the source is not enough because there is a difference between paraphrasing and directly quoting a whole article. If someone copies another person's article verbatim, I ma need that person to link back to the original source. Like Berry said, it is common courtesy. Ogoo.. I understand courtesy. However it has no legal meaning, and that is fact. I believe what we are discussing is strongly skewed towards what SHOULD be done, or risking getting legal ramifications. Berry it may seem like it's a matter of plagiarism vs cyber squatting and that both are "wrong"...but frankly only one is illegal. Plagiarism. As for pictures, just ask sisi yemi what happened to her the day she almost got sued over pictures. It's actually not enough to just credit the source of the photos. In many instances you need to pay for the pictures you use. Ask jide alakija how he feels when people take his pictures without asking or paying. How about sympathy for those whose livelihoods depend on their pictures? Even if you feel like this guy was personally attacking her, fact remains that 1) MANY people have called her out on this before. She's always ignored it. But now Google pulled the plug. 2) she doesn't have to use the domain names he bought. After all is bella Naija named after its owner? no! So her claiming she never bought her own domain name because someone else bought it first is just silly and rather egotistical. Like you said lindaikejigossip.com is available. Kudos to you for buying up berrydakara.com ! It shows you have sense. And one reason I like your blog is because you add value to the content you share. EXACTLY. Plagiarism is ILLEGAL. Cybersquatting is not. End of story. Yes, you're right about the legal aspect. I still personally feel that they're both wrong. Believe me, I know what it feels like - my sister's wedding pictures were posted on a Facebook group where the owner claimed she planned the wedding. 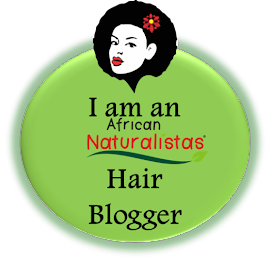 And just yesterday, I saw a graphic I created for African Naturalistas posted on another website, and they had gotten it from another source that didn't give proper credit. So trust me, I know what it feels like. Maybe because I'm not making money, I turn a half-blind eye. I don't agree with plagiarism at all. I clearly stated that proper credit should AT LEAST be given. In a discussion yesterday, it was even brought up that if you're making money from using someone else's content online, you should pay them - so it looks like she owes some people money too, not just credit. I hope she learns from this and does the right thing. If I were her, I would put out a public apology for lifting stories whether or not, other people are doing it. And then, on her new site, she needs to adopt proper procedures. Oh I just remembered something else. There's something odd about the fact that she's earning 40k usd a month (wow!) And yet can't be bothered to hire a photographer to at least attend the big Nigerian events instead of just sitting around waiting to steal someone else's pictures. The whole thing strikes me as a bit sinister. "Make as much money as you can from other's hard work". Smart. But sinister. She boasts about being a one woman operation but I see it as a lost opportunity. She could have employed photographers, and a legal team to keep her out of trouble and still have had oodles of cash left over. I agree with you. I had wondered why she didn't have any staff, myself. And I thought that some of the pictures she posted were for public use since I saw them on other websites too. Everyone should take notes o! Linda actually has a team, though a small team...and yes she has photographers who also attend weddings and take pictures for her, I have seen them at some events. She watermarks some of her pictures too as Linda Ikeji and sometimes other bloggers steal those pictures from her site. Lessons are being learned, for real! If not a good camera, a phone that takes very good pictures would work too. Technically, she isn't back. There are no new posts. It seems to be a store of her old posts. word you just wrote exactly how i felt about this whole drama.. she was simply a target from the beginning it doesnt mean she is innoscent by any means but when people come together to delibrately bring someone down it is extremely disturbing. one thing is for sure we can all learn a thing or 2 as you state. she's definately going to come back bigger and wiser from this. The whole thing is a little uncomfortable to watch, honestly. I pray she bounces back again, ten times better and stronger. Personal/Lifestyle is the way to go!!!!!!!! I have one question. Linda usually credits but alot of people are going on and on about written permission including the mofo who started all of this in the first place. As a gossip blogger, is she supposed to send an email for written permission and wait a week for a response when the gist would have become stale before posting the story? People kept going on and on about Kelly's pictures. Why is no one mentioning bella naija after all bella posted the pictures as well??? I don't particularly love linda because I feel she's a little childish with the show off and needs to grow up but this is definitely a personal vendetta against her. Too many bitter people in the world. I hope she bounces back better, bigger and stronger. Yes you're supposed to ask for permission. Whenever you post stories or photos in their entirety without permission or do not link back to your source you are reducing traffic/clicks to the sites/individuals who broke the story (and used time/money to research/write/photograph). You are in short stealing their (intellectual) property and their livelihood. For the magazine example, every mag would want you to post their cover (so people can buy it) but "fair use" dictates you should use an excerpt (one or two photos) instead of posting the WHOLE shoot. The thing is, whether childish or not, whether a show off or not, because Google owned her platform so if they didn't act (by taking down her posts, then her blog) they would have been sued next, because they were enabling this (intellectual) property theft. Just like they are being sued for the iCloud naked photo wahala. Wetin consign them? They didn't hack, neither were they Apple but by allowing the photos be searched and found they are being held responsible. Linda has/had power. She's the most popular blogger in Africa's biggest country! She also has responsibilities. This is what she didn't accept and from her last letter on her blog, still didn't seem to want to accept. She was still saying other people do the same thing (so that makes it OK). The "childish"ness came in where when people tweeted at her and sent her letters saying they wanted credit she completely ignored some and blocked the complainants as well. I think (and understand) why for a struggling/less well known writer/photographer this would get personal. She was using their stolen property (and money she gained from it) to buy material things, show off and to top it off, thanked God & her hard work for giving it to her. Not to talk of rapes, murders and suicides she posted. And when families asked her to take it down she ignored. When commenters said it was too gruesome she ignored. Anything for blog traffic. Anything for money. With great power comes responsibilities. With a big business comes ethics, LAWS & plain human decency. I hope she comes back not talking about how she defied her "enemies" but as the market leader, showing people you can run even a gossip blog with some ethics and decency. I read LIB itz d fastest source for news of anykind in Nigeria. When I read her post on d whole cybersquating nd copyright infringment yada yada yada my thought was.....she has affected peoples lives negatively through her posts countless number of times nd her response to anyone calling her out was always same,..... She's doing her job, jump in the lagoon if ur pained. Itz bad shez going through dis but I think she deserves to know how people feel when someone launches a personal campaign against dem plus as much as she wants to encoirage people, posting ur 3 cars online only brings d bad belle people out. I hope she learns from this. I also want to add, fair use is not always enough! Sometimes some photo agencies charge as much as $100 per photo. Yes. PER PHOTO. All them Daily Mail, E Online etc subscribe to them. They aren't foolish. It's not beans. Better to pay $100 than $100,000 in a lawsuit. I see when Linda posted from them, e.g. pregnant Kourtney Kardashian in her black bikini. No photo credit, no nada. Google taking her down wasn't beef. She had no business ethics. Nigerians slay me when they downplay everything to 'she's ruined people's lives' or 'she's arrogant', 'she's flaunting her wealth'. That certainly didn't help as it was arrogant and insensitive, BUT at the end of the day, it came down to she stole people's livelihood and ignored them when then they cried foul. She was the biggest (most successful culprit) so they used her as an example/scape goat. Hope she learns from it, because next time even though no one can 'take her down', the lawsuits will continue, and the personal assets she flaunted would be on the line. I have really learned a lot. The difference between a smart man and a wise man is that, a smart man learns from his mistakes while a wise man learns from a smart man's mistakes. The bitter truth is that, we prefer to be the smart man subconsciously. I hope and pray we can learn from this. After all said and done, more is still said than done. Lest I forget, Dakara this is my 1st time of visiting your site. I must comment you for your originality. Am sure going to bookmark it right way. Hard work pays, regardless of when. "The difference between a smart man and a wise man is that, a smart man learns from his mistakes while a wise man learns from a smart man's mistakes." I like that. Thank you so much for your compliment :) God bless! Linda needs a proper legal advice and a good PR team. These guys might not be saints but she was wrong for jacking posts without giving credit. between, she need to hire a photographer too, get per permits and take official photos at events (like bella naija) instead of taking pics off Instagram. She keeps shouting 'HATERS', you know how many pple she has left miserable and depressed by trolling them????? I hate Gossip blogging because I feel we all hv our down times and when some1 gets delight by bringing it to the Public, it hurts more. Now that her blog is back, I hope she changes her approach. Someone bought over the lindaikejigossip...domain name less than 12hours after? Yes o. Some people just want easy money. Very enlightening post Berry. Especially the back and forth between you and Gee. I am taking it all to heart. This lInda saga was bound to happen. In the quest to be cheap, she put herself on the line. Linda has the resources to build a formidable team of lawyers, writers etc and neglected to do so. Even to get creative and purchase a domain name she didnt do. Entertainment blogging comes with copyright issues, whoever isnt ready to abide, save yourself the headache and stay out. I stick to personal life blogging, i dont get much hits, but i own my domain name and i am hosted by wordpress. It costs a tidy little sum annually, but i like the control i have over my stuff. I prefer my personal blogging too. Yes, entertainment blogs get more traffic, but I'd rather "sacrifice" that traffic.